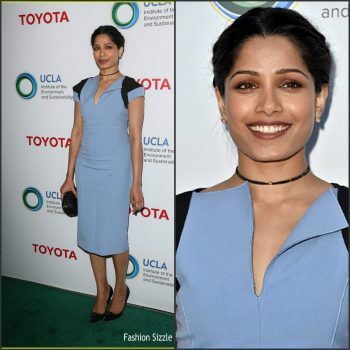 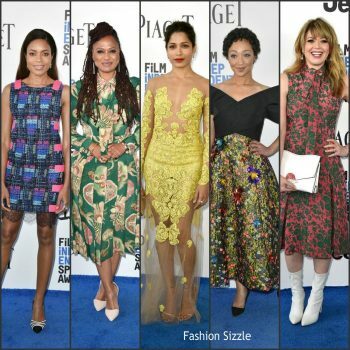 Freida Pinto attended UCLA Institute of the Environment and Sustainability’s annual gala on Monday (March 13) in Beverly Hills. 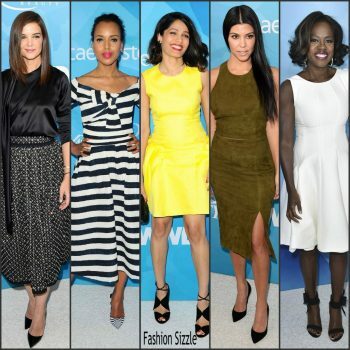 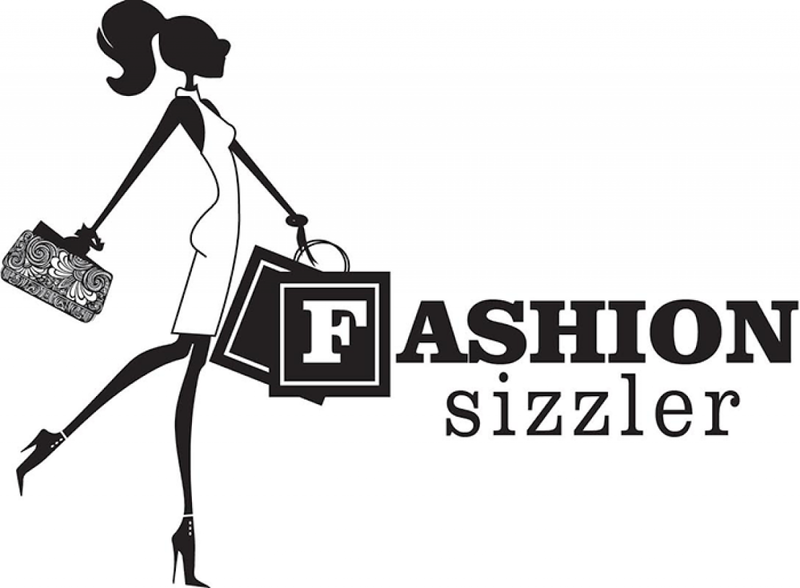 She wore a sky-blue Amanda Wakeley dress styled with a pair of Rupert Sanderson midnight-navy pumps. 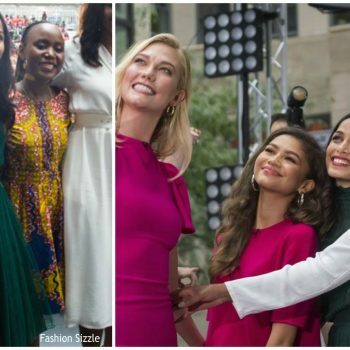 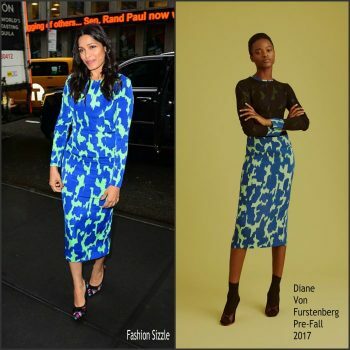 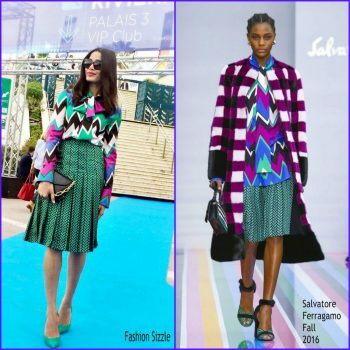 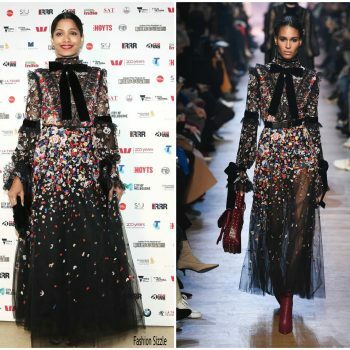 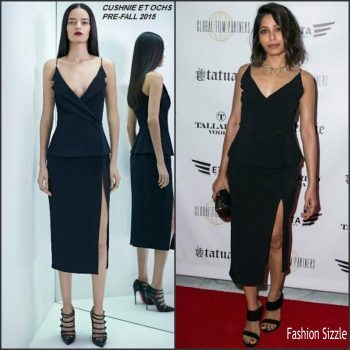 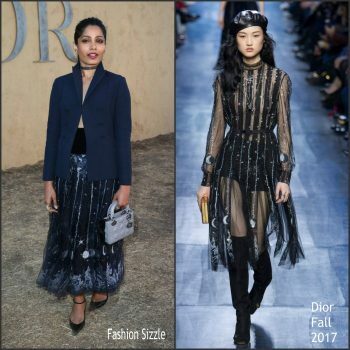 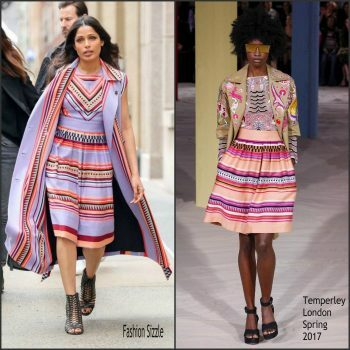 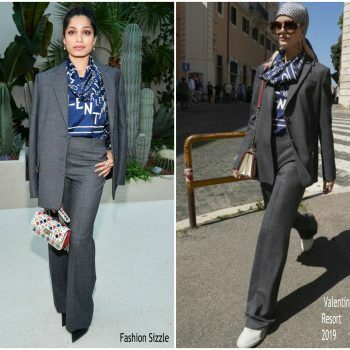 Freida Pinto was in attendance at the Guerrilla Promotions during MIPCOM 2016 in Cannes She wore a head-to-toe Salvatore Ferragamo Fall 2016 outfit . 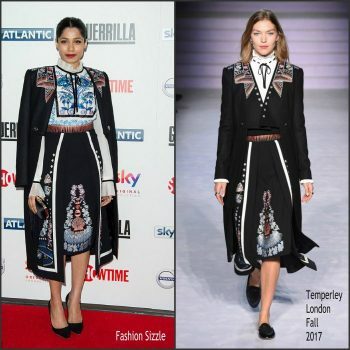 Freida Pinto was in attendance at the Photocall for her latest film Guerilla held during Mipcom 2016 at Palais des Festivals on Monday (October 17) in Cannes, France. 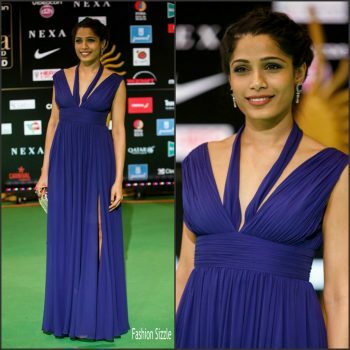 Indian actress Freida Pinto attends the IIFA Rocks awards 2016 at IFEMA on June 24, 2016 in Madrid, Spain. 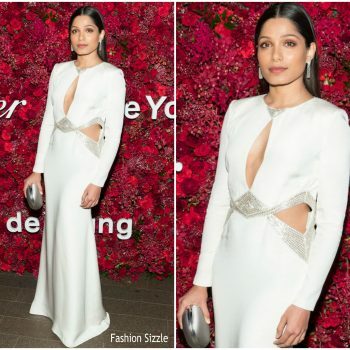 Freida Pinto attends the 'Women in Motion' Prize Reception part of The 69th Annual Cannes Film Festival on May 15, 2016 in Cannes, France. 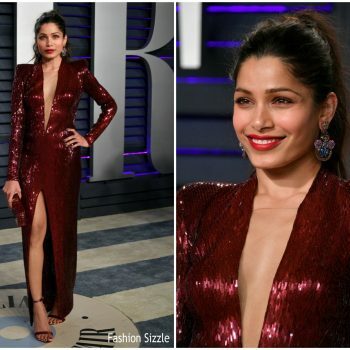 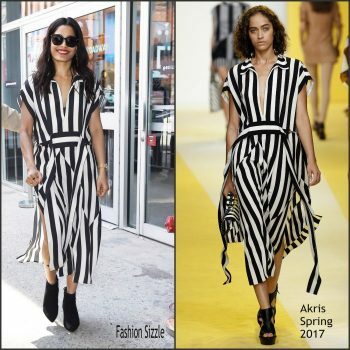 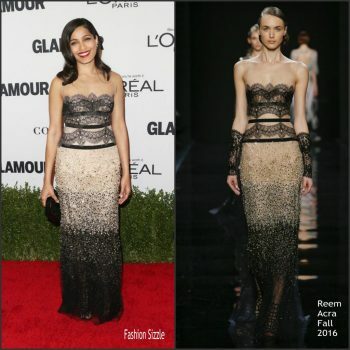 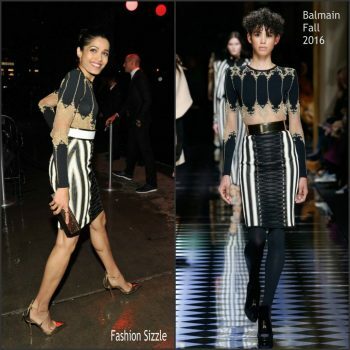 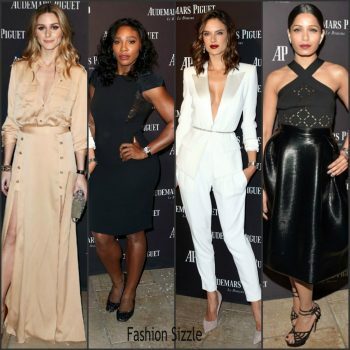 Freida Pinto was spotted arriving at a Met Gala After Party on May 2, 2016.